Work I started in 2012 and spanning now 5 years later. I have been researching and offering replacement kits and advise to people with Atari PSU's. The bottom line is, should I replace the capacitors ? Well, yes you should. While some PSU's like the DVE types seem to have stood the test of time better than the SR98's for example, the capacitors are still 30 years old now and they should be changed. You wouldn't run your car for 30 years without changing the oil would you ? Sure the engine still runs, but not well and is just reducing the life of everything else on the engine. If that is how you roll, then this page isn't for you. Capacitors keep the PSU stable, Stop HV spikes from reaching the motherboard components and improve regulation and peak current demands. Take for example the Falcon PSU. We can clearly see the HV spikes there. 5V rail becomes over 6volts, if only for a few ns, but sometimes that is all it takes to blow some silicon and bang goes your machine. As the capacitors age, they become less effective and the voltage spikes get higher and longer. Why are the spikes there ? Because that is how switchmodes work. A high voltage source is switched very fast into the output rails. In some PSU's which do not use a pulse transformer (as worst case example) , 50volts or more can be used to switch the 5V rail. What happens is the 50V rail is connected DIRECTLY to the 5V rail for brief period of time. The feedback circuit monitors the 5V rail and turns off the 50V source once the output has reached 5volts. This happens very fast, often around 20,000 times a second. If the 5V rail is loaded more (pulling more amps) then the 50V feed is held on for longer until the capacitor charges. The capacitor is past of the feedback circuit and needs to be "slow" to charge as often the bipolar drive circuit is very slow and takes some time to turn on and off. If the capacitor charges to quickly (IE because it is failing, low value, high ESR etc) then the 50V source stays connected for to long. The capacitor can charge to 6 volts, but also it will "see" the 50V spike more and heat up the capacitor causing more damage as time goes on. If we was to replace a output capacitor of 4,700uf with a 100uF capacitor, then it would charge to fast and likely reach around 20 volts. The load on the PSU would quickly drain the 100uF capacitor and it would fall below 5volts where the feedback circuit then turns on again dumping 50volts into the 5V rail. What we end up with is a triangle waveform which is jumping between 5-20volts or more. More than enough to kill anything it is connected to. We can see the SR98 PSU failing exactly the same way here..
PSU's should be regulating the voltage to near DC levels, not driving our motherboards with a AC type signal! Often there will be a power resistor (also seen on the Atari PSU's) to drain the capacitors voltage to keep the PSU stable. Without it, the switching transistors would be to slow to turn off and overcharge the capacitor. So that access energy has to be "wasted" in order to prevent the PSU from well, basically exploding. I have seen that happen many times! Of course it isn't as black and white with so many PSU versions in Atari machines. If a DVE/ASP PSU has never been used, then it will likely still work reasonably well. Some PSU's can cope with aging capacitors better than others. Some like the DVE/ASP have a fast feedback loop so the capacitor degrading isn't as easily seen as with other PSU's like the SR98. As for the Atari PSU's they have a transformer separating the HV drive to the low DC output voltages. This is normally a step down transformer, again normally around 50volts. The good thing here is, if the HV transistor fails (which it often does) then it shorts DC to the transformer and the because the magnetic flux is no longer pulsing, no energy is transferred to the low voltage side so it acts as protection for one thing. The transformer is also to blame for the 12V often being anywhere between 10V and 14V. The regulation is only done on the 5V winding. As the transformer is a dual output (for 5V and 12V) once the flux is dumped into the core and 5V rail reaches 5V, the transformer is in effect turned off. 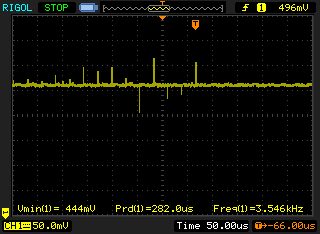 So the 12V rail is totally dependent on the tolerances of the transformer or winding ratios. On some PSU's there is a diode in series with the 12V line. Likely on some PSU's the voltage was higher than 12V so they added the diode to drop the voltage by about 1volt. Though later it would seem the diode was removed, and the winding ratio of the transformer changed. Resulting now in the voltage being more like around 10-11Volts. With this transformer driven types of PSU which all internal Atari PSU's use, the feedback loop is also very slow. Its mostly depending on the opto coupler to couple the 5Volt line to the driver transistor. This feedback is very slow and driving a slow HV driver section. As mentioned before, the loop speeds up if the capacitor values are to low and the 5V capacitor can be overcharged easily. Normally PSU's with a fast feedback loop offer better regulation, but in the case of the these Atari PSU's they are using slow feedback loops and it just cannot react fast. What I often do with these PSU's is to increase the capacitor values slightly. This slows down the feedback loop a fraction and the PSU runs more stable with lower risk of output voltage spikes. As documented before, lowing the feedback loop speed has the effect of the regulation improving. The peak current response is actually higher now as the PSU is dumping more energy into the transformer core, but at a slower rate. The higher capacitor values with better ESR values means the energy is dumped "harder" into them, but as they now take a faction longer to charge, this balances out. The PSU is simply working more efficiency and this shows in my tests. The higher capacitance values with lower ESR values means the PSU can deliver a higher peek amps load, this is important for example when the floppy drive motor turns on. The capacitors take the "load" and the PSU will soon recharge them by dumping more flux into the core than it was before. Overall, peak current demand improves. Overall regulation also improves. The Atari PSU's were pretty bad to start with but there is clearly a 50% improvement easily in most cases. I also generally up the values on the ripple filter also. 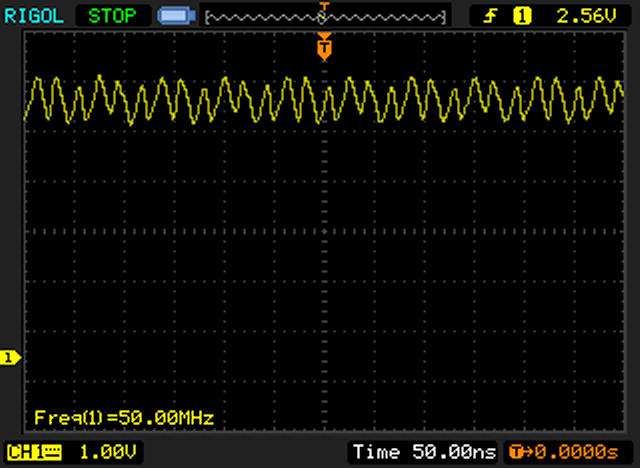 As the PSU is running slower, it makes sense to lower the ripple filter frequency also. One thing I have noticed (also in designing my own PSU's) the ripple filter inductor adds resistance, this actually upsets regulation a little also. For example the voltage can be regulated perfectly to 5volts on the main bulk capacitance (before the ripple filter), though on the output of the filter, it could be 4.8volts due to the voltage drop of the inductor. I won't go into the in's and out's of all that here. Though adding a higher value into the ripple filter also helps filter out spikes and improves overall regulation (less noise). Of course this is all just a quick overview of how things work. Overall we can easily improve the PSU's specs over what the original design was. Instead of having 200mV noise "from new" we can improve on that and get down to just 50mV by just doing a few basic upgrades. We can turn those "cheap" PSU's into something pretty awesome as already proven and documented on my website. I have also documented updating the output diodes on PSU's like the SR98 to obtain better regulation also. There is so much which can be improved with modern silicon that it only makes sense to use it. I have seen around 100 SR98s though my workshop over the past 10 years or so now. I don't even bother to test them anymore, I just re-cap them and save headaches further down the line. Thankfully the good old Atari chipsets are pretty sturdy and can cope with a lot of abuse. Though this doesn't mean it should be operated that way. So if you want to look after your machine, look after the PSU. Upgrade the capacitors! get a better spec PSU which in the next 30 years time, will "Fall" into its "original" spec rather than just failing. Reap the benefits of modern capacitor technologies and enjoy a more stable more efficient PSU! I have already put together kits for PSU's which I have seen issues with. Please see my webshop.